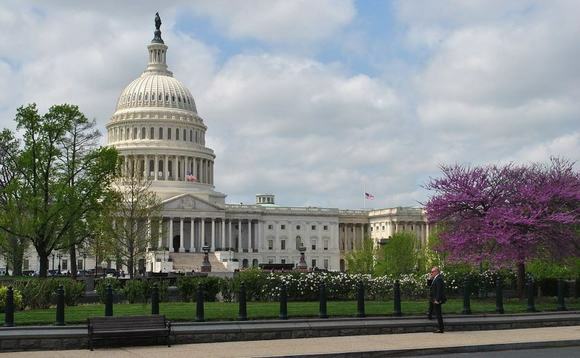 Representatives for American expatriates in Washington have been expressing cautious optimism about the chances that the way such expats are taxed may be about to change, after weeks of lobbying that culminated this week in meetings with lawmakers. 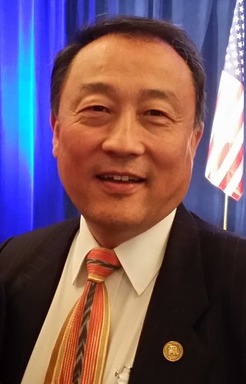 Among them is Republican National Committee member Solomon Yue, who is also chairman of the Republicans Overseas, one of a number of organisations that have been actively urging Congress to use the opportunity of a tax reform bill to move the US to a “territorial taxation for individuals” regime, or TTFI – replacing the current system of taxing individuals on the basis of their citizenship. “Our next step is to ask my 168 fellow RNC members to contact their [Republican] House and Senate members, to say the Republican National Committee voted unanimously in favour of a resolution supporting TTFI in August, and that we now need to deliver TTFI for 9 million overseas Americans,” Yue said today. In an article posted on its website yesterday, the Financial Times quotes Kevin Brady, the Republican head of the House Ways and Means committee, which is currently drafting the tax reform bill, as confirming that Congress was actively “considering” a measure that would see the US move to a territorial taxation for individuals regime. Brady, the FT noted, told its journalists, who were attending a Christian Science Monitor breakfast at which he had been speaking, that Washington’s lawmakers were taking “seriously” the call for a shift away from the citizenship-based income tax system. By 2pm on Thursday, the FT article quoting Brady had received 142 comments, many from Americans expressing their exasperation, and in some cases fury, with the current system. The FT article was also immediately flagged up by the IsaacBrockSociety.ca blog, a Canada-based online forum of expatriate Americans keen to see changes in the way American expats are treated by the US. As reported, the Republicans Overseas has spent the last few months urgently calling on American expats to sign an online petition calling for the US to end its citizenship-based taxation regime. The organisation set a goal of 6,400 signatures by 22 October, when it said its representatives would present the petition to Congress. In the end, 3,027 signatures were obtained, which Yue, pictured left, said seemed to be sufficient to “make inroads with [Brady’s] chief of staff” when the petition was presented to the lawmaker’s office. Keith Redmond, a Paris-based American who has been actively involved in the campaign to get the US to scrap citizenship-based taxation, and involved in the petition drive, said the result was actually exceptional, given the fact that “Americans overseas have no formal representation in the legislature, as [expats from] other countries do [in theirs], such as France for example”. “The response rate on our petition, relative to the number of overseas Americans there are, was eighteen times the response rate that the Republican National Committee received for a petition in the US on general tax reform,” he added. Also actively campaigning in recent months to convince Congress to ditch America’s unpopular citizenship-based tax model have been such organisations as the American Citizens Abroad, the Democrats Abroad, Americans for Tax Reform, the Heritage Foundation and a number of American chambers of commerce and other expat groups. The US is all-but-unique in its use of citizenship-based taxation (Eritrea is said to be the only other country that taxes in this way). And as the US has ramped up its efforts over the last few years to come after its estimated 8.7 million expatriates for what it says are unpaid taxes and fines, growing numbers of these expats are struggling to comply, and many have sought to renounce their citizenships as a result. Renunciation numbers are limited in part by the US government’s facilities for processing applications, and the cost and paperwork involved, but last year hit a record 5,411. Among them was the UK’s well-known foreign secretary, Boris Johnson, who had been born in the US but who has lived most of his life in England.